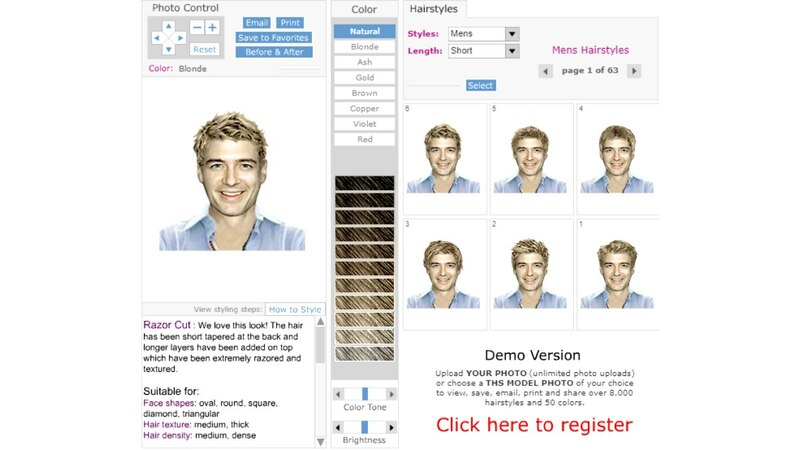 Unique virtual hairstyles software to simulate more than 10,000 hairstyles and haircolors on a photo of yourself. Do countless makeovers and try different haircuts on a photo of yourself and see exactly what you will look like before getting your hair cut or styled! - Over 10,000 haircuts, 50 colors & highlights. 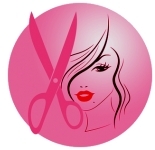 - Online hair app. No downloads and nothing to install. - Frequent updates, new hairstyles added every month. - Password protected area with unlimited access, 24/7. - Print all hairstyles and colors with your picture. - Email hairstyles to your friends. - Save hairstyles to your "favourites" folder.